GLASHÜTTE, MARCH 2019. Tangente, Orion, Ludwig, Tetra are the four classics that NOMOS Glashütte started with more than a quarter of a century ago. Now, there are new versions of these watches designed to embody the Bauhaus movement. Conceived for more delicate wrists, these models measure 33 millimeters in diameter (Tetra side length: 27 milli-meters). But this time they feature only two hands—hence “duo.” After all, sometimes it’s better to keep things simple. It goes without saying that these hand-wound watches contain a fine Glashütte caliber, meaning they are highly precise. Inside, Alpha.2 is at work: an adaptation of NOMOS’ most manufactured caliber. 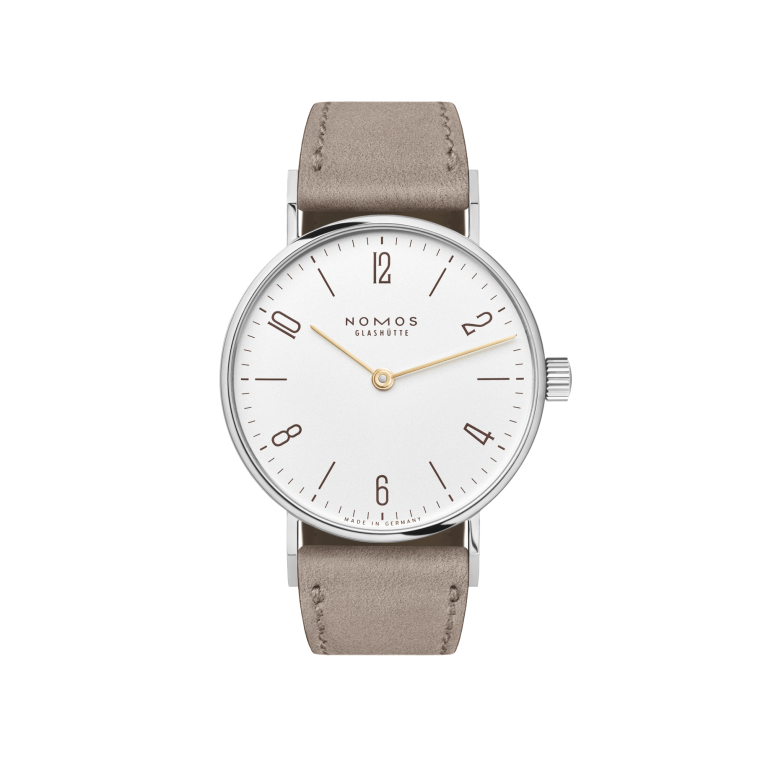 The case of the four new watches is made of stainless steel, the dials are white silver-plated, as with other NOMOS classics. This silver case is complemented by golden hands, which makes this watch an ideal companion to jewelry. The mocha-brown typography is almost black, but softer, and the beige velour leather strap is also more delicate thanthe classic Shell Cordovan. A personalized engraving on the stainless steel back is the finishing touch—available on request. R emoving the complication of the small seconds also means a reduction in price: Tangente, Ludwig, Tetra and Orion duo will make perfect presents, and are wonderful small pleasures from Glashütte. Available from April at Ace Jewelers.